There are very many companies offering wedding photography in Essex, making it very difficult to decide on who to trust to capture the memories of your special day. Should you look for someone "Cheap", or should cost not even be a factor? It is a sad fact that there are many inexperieced people, who are not even professional photographers competing with the experienced and qualified professionals by offering very cheap services. Unfortunately this means that although you could get your wedding covered quite cheaply, will the results be what you really want? Remember your wedding happens on one day and then its over. No chance to do it again if you fail to capture the precious moments in your wedding photos. And don't forget the old saying "You get what you pay for". So, why risk it? Don't select your photography based on cost alone! Of course we all have to bear cost in mind, but you should also consider the experience of the photographer and look at their previous work and testimonials before you engage them as your wedding photographer. Who is Visual Celebrations Ltd? Visual Celebrations Ltd is professional wedding photographer Colin Blakemore and associates; Colin is a member of the Royal Photographic Society with over 40 years experience in photography. We are based in Essex, but are happy to travel far and wide to provide a service for you on your wedding day, offering the highest quality personal service at the best possible prices. So, if you have already been quoted a price elsewhere by a highly experienced photographer then please let us know; we promise to beat any "like for like" quotation. Why spend more than you need for your wedding photographer? Furthermore, we offer a full guarantee that if you are genuinely not completely satisfied with the results, you will not pay a penny, guaranteed! 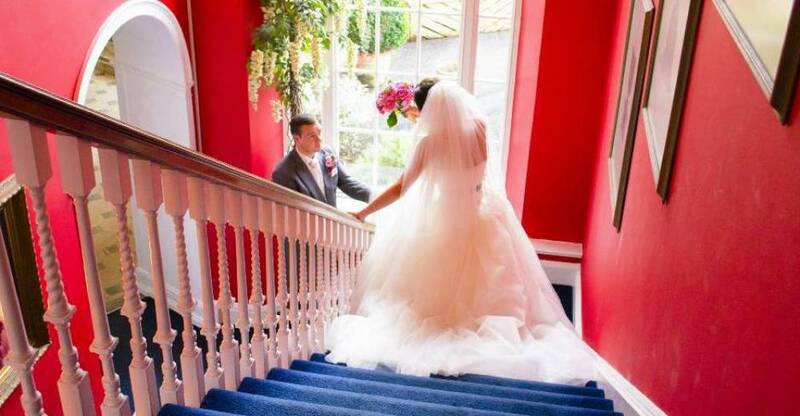 Why choose Visual Celebrations Ltd as your wedding photographer? As probably the most caring wedding photographer in Essex, concerned with providing the best quality personal service possible, we will capture your wedding's tender, beautiful and funny moments in colour and definition rich photos, so that you can relive these memories for many years to come and treasure them forever. Although we are based in North East Essex, we are happy to travel anywhere, either within the UK, or to some exotic location abroad, for your wedding. We can capture the whole day, from your preparation for the big day, the ceremony itself and, of course the reception. We also include shots prior to the wedding day for use in invitations, announcements and the guest-signing list for the day, etc. Candid and posed photos of the bride and groom, wedding party, family and all the guests on the day will be taken, plus there will be some special creative shots of the bride and groom, adding a distinctive difference to your day. The result will be a full and detailed account of your very special day to sit back and enjoy time after time. We are also available for honeymoon photography if required. Satisfaction Guaranteed - If You Are Not Delighted You Won't Pay a Penny! We plan to give you whatever you want and we promise total satisfaction. You may not even know exactly what you want, but with our experience we can make suggestions and you can choose. A traditional (posed group photos; the couple, family, friends, etc.,) or photojournalistic (more relaxed, candid and natural) type wedding coverage? Or perhaps as is becoming more common these days, a mixture of both? We can accommodate your requirements. The exact style to be used will be in accordance with your requirements, which we will discuss fully with you during our planning stages. Whatever you decide you can be assured of first class top quality photographs taken on the day, a true premium service, but at a reasonable cost. We take into account Your exact requirements. Once you have booked your wedding we will arrange your free pre-wedding, or engagement shoot (all packages except "Standard" - please see our packages.) So, if you are looking for a wedding photographer (with full online DBS) for your wedding arrangements, please get in touch. Give us a call today (07886 407003), or fill out our contact form; we will then arrange an appointment to meet with you for a free initial consultation, with no obligation, and will provide you with a free quotation once we have discussed your requirements! Website Design and Development by DPStar Webs.